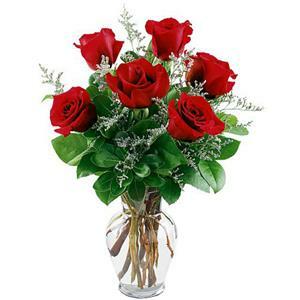 Send 6 Pcs Red Roses in a Glass vase to Chennai. Gifts to Chennai. Send Flowers to Chennai.